My tongue was hanging and I struggled. What this photo does not show is me trying to past waking cyclist while other riders tried to squeeze by me. I clung on. The suddenly my chain slipped. I fell back onto the saddle and my front wheel rose in the air. There was a gasp from the spectators on the Hill. My front wheel landed on the foot path. I lifted the front wheel once again and managed to get it back on the road. I was able to turn the pedals one again and crested the hill. Only four kilometers to go but there was still time for a duel with a fast Italian who was determined that he was going to cross the line before me and was not going to carry me to the last 50m only for me to pass him. He zoomed by me with 2000m to go. I broke from my group and got on his wheel. He glanced back at me. He slowed suddenly and I found myself serving to avoid him. I was at the front. Game on! After 500m I decided to feign exhaustion and I slowed. He burst passed again and as he opened a gap of 50m in 3 secs I realised I wasn’t feigning. I cursed and put him out of my mind. He was gone and I’d nor catchhim. With 600m to go another rider zoomed by and this time I got on his wheel. 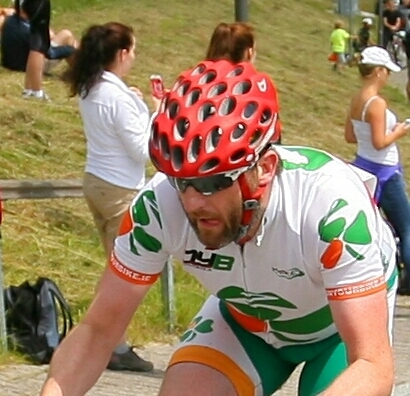 He carried me towards the finish and with 200m to go I passed my Italian friend and raced across the line. Good fun. 7 hours and 20 minutes. My first Maratone Dles Dolomites completed. 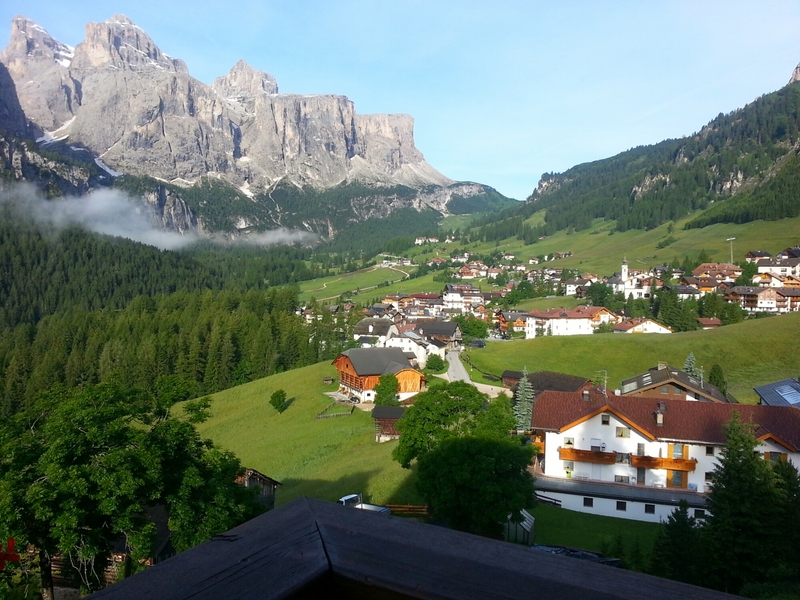 Sitting and relaxing the day before Maratona Dles Dolomites. Tomorrow we will be coming over the Passo Gardena descending the valley past our Hotel before heading out on another loop of the mountains. The roads here are full of high end cars, high end motorbikes and high end bikes. We are in the home of Pinarello. The home of licra and Italian sizing.